What is the mark of the beast? Is it a special number that will be forced upon people? The world is inundated with the belief that the mark will be something that uses the number 666. Some believe we will soon be forced to receive a computer chip with 666 embedded within it. Others think an identifying tattoo will be placed on humans. There are also those who firmly think the mark of the beast will be hidden on money or on other things. The mark of the beast, used to identify those allowed to buy or sell in the End Time, will be found in (not on) people's hands or foreheads (Revelation 13:16). Using the Bible to interpret itself, the hand and forehead symbolizes a person's actions and the choices (thoughts) they use to carry them out (Exodus 13:9, Deuteronomy 6:8, 11:18). The mark denoting a person follows Satan is their choices and actions that show they are in agreement with his beliefs and will obey his commands. How big is Satan's evil army? How is 666 related to wealth? Since the end time Beast has a mark that identifies those who obey him, does God also utilize one to denote those who are his true followers? Yes he does! Revelation states that those who choose to obey God's commandments (including the Sabbath on the seventh day and not the first) and have faith in Christ are doing his will (Revelation 12:17, 14:12, 22:14)! Why will Satan be so hell bent on destroying any human who is a true Christian? One primary reason is that he will finally be allowed, for a short time, to carry out his plans like a god. His first attempt to do so perfectly failed (Luke 10:18). His next attempt, which will soon occur, will also utterly fail (Revelation 12:7 - 9). He will, however, after he is permanently cast to earth, be allowed to do almost anything he desires (verses 10 - 12). 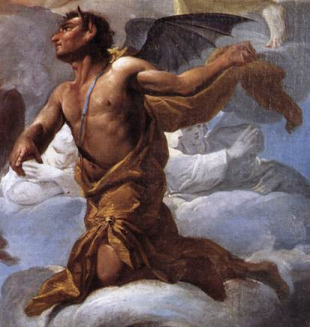 The mark will clearly manifest those who accept or reject Satan's definition of good and evil. It will be used to fulfill the devil's lust to be the only being humans worship (Isaiah 14:13 - 14, 2Thessalonians 2:4). In order to fulfill his goal, however, he first needs to know or mark those who agree with him. Those against him are quickly found and killed (Revelation 13:14 - 17). All those not martyred will worship him as a deity. There are several reasons why the literal number 666 will not be the mark of the beast placed on people's heads, arms and so on. The most obvious justification it will not be used is that most humans, even those with no religious background, think it will be! Satan operates based on subtlety and, in a world which he has deceived (Revelation 20:3), would not advertise his plans! A person in the end time could avoid the dreaded number 666 and still have the mark of disobedience through their unwillingness to repent (see Revelation 9:6, 20 - 21, 16:9, 11)! The true mark of the beast is a heart that refuses to submit to the commandments and the actions that follow those choices. Those who choose to obey God, though they lose their lives, will be rewarded with eternal life. May the Lord help you make the right decision and avoid his wrath in the fearful Day of the Lord (Joel 2:11, 31, Malachi 4:5, 1Thessalonians 5:2). What must occur before Jesus returns? The greatest war ever fought!